Win a Rose Petal Cottage from DreamTown worth £99.99! 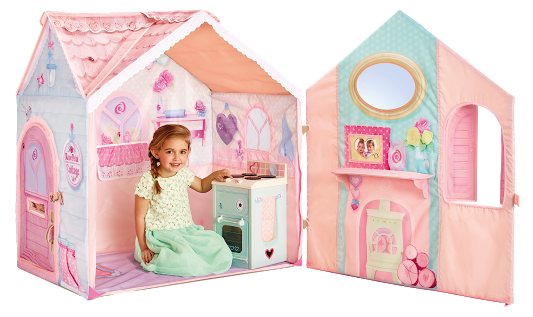 Rose Petal Cottage from DreamTown is an award winning role play product, helping parents buck the technology trend this Christmas! 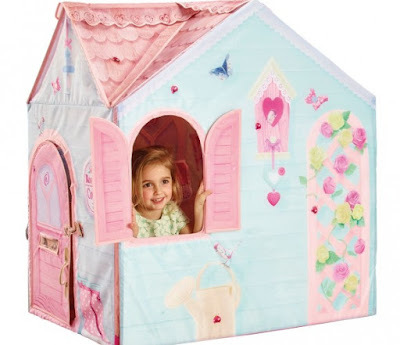 The country-style indoor playhouse, which offers toddlers the freedom to create their own games, and also inspires hours of imaginative play is priced at £99.99 and features a working front door with letter box, shuttered windows, and a toddler height cooker with twisting dials and an opening door. The cottage, suitable for children aged 2+, also boast intricate fabric illustrations, broderie anglaise trim, a real shelf and a photo frame with decorative flourishes! Having scooped two prestigious toy awards from Loved By Parents and Right Start, alongside more than 94 million YouTube hits, DreamTown is a leading toy brand! DreamTown has very kindly put one Rose Petal Cottage aside for one very lucky reader/visitor of Unique Young Mum to win! To enter the competition, fill in the RaffleCopter form below! Please note: You must follow or like Unique Young Mum and DreamTown on at least one social media platform! To find out more about DreamTown and to view their full range of products, check out the official website here.